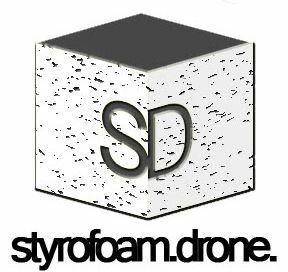 Hot Off the Press this week: Austin, TX post-punks SPRAY PAINT have just announced their new album (Monofonus Press), a debut LP from LEATHER SLAVE (Permanent Records), a new 7″ from Grecian psych-punks ACID BABY JESUS (Slovenly Records), and a cassette overflowing with blown-out punk from DRUGGY PIZZA (Dirty Slice Records). LEATHER SLAVE – s/t LP: Permanent Records is set to release this self-titled album from Leather Slave on September 2nd. It comes limited to 300 copies – the first 100 of which are available on oxblood vinyl directly from the label. Hailing from Los Angeles, Leather Slave combine dirgy, grungy guitars with heavy repetition, creating a devastating concoction of blown-out horror-punk that will have you cringing in fear. Their songs are held together by rock-steady drumming and menacing, spoken-word vocals – listen to “Skin Suit” from the LP now. 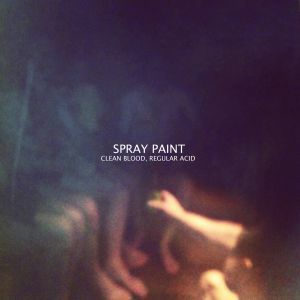 SPRAY PAINT – Clean Blood, Regular Acid LP: Released by Monofonus Press, Clean Blood, Regular Acid is the first full length from this Austin trio in 2014. The LP is loaded with striped-down post-punk anthems, built with angular rhythms, wiry guitar plucking and chanted vocals. The sound grows as songs unfold, adding a dose of cringe-worthy guitar racket to layers of lysergic haze. Put simply, these Texans blend their own form of twisted noise-punk – start by listening to “Rest Versus Rust” here. 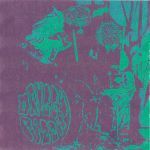 DRUGGY PIZZA – Chili Cheese Crust CS: This cassette is the third EP from Druggy Pizza, released in a very short run of 30 copies by the Dirty Slice Records imprint in France. Druggy Pizza is the moniker of Cédric Bottacchi, who is also a member of French garage-punk band Dusty Mush. Listen to the cassette full of explosive, scuzz-fueled punk now. Influences range anywhere from surf-flavored jams to noisy garage rock, creating a weirdly satisfying amalgamation of sounds that will blown your ears clean off. ACID BABY JESUS – Vegetable 7″: Slovenly Records is back with another record from the Grecian psych monsters in Acid Baby Jesus. 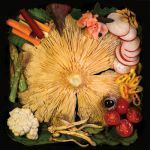 Crusty, buzz-saw guitars cut through their new single “Vegetable,” wherein you’ll encounter cowbell percussion, colorful synthesizers and nasally vocals to boot. B-side “Brain Damage” comes with an urgent sense of doom, built with melodic guitar leads and a smoky atmosphere. The 7″ prepares us for their upcoming sophomore LP, which will be released by Slovenly Records in 2014.